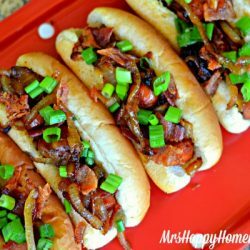 Looking for a delicious dinner to literally whip up in a matter of minutes? 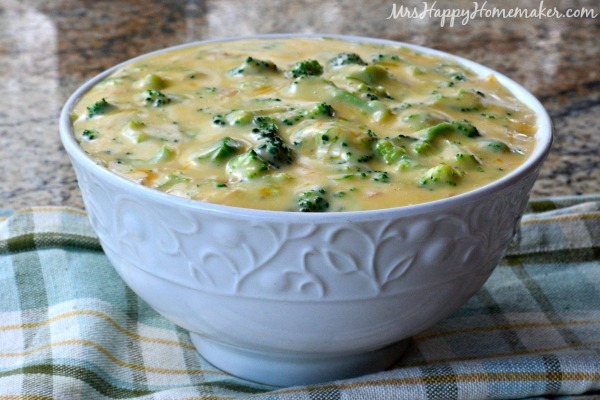 This Quick & Easy 4 Ingredient Broccoli Cheese Soup is right up your alley! Sometimes when I watch my 4 year old bounce around the house from the moment he wakes up to the second he goes to bed, I envision I could syphon just a little bit of energy from him. You know, enough to give me a little motivation & make me feel no so zombie-ish – and enough to calm Mr. Wild Child Ball-of-Energy down just a smidgen. But alas – there is no such thing as that because if there was, the sale of energy drinks & supplements wouldn’t be the multi-billion dollar industry that it is today. 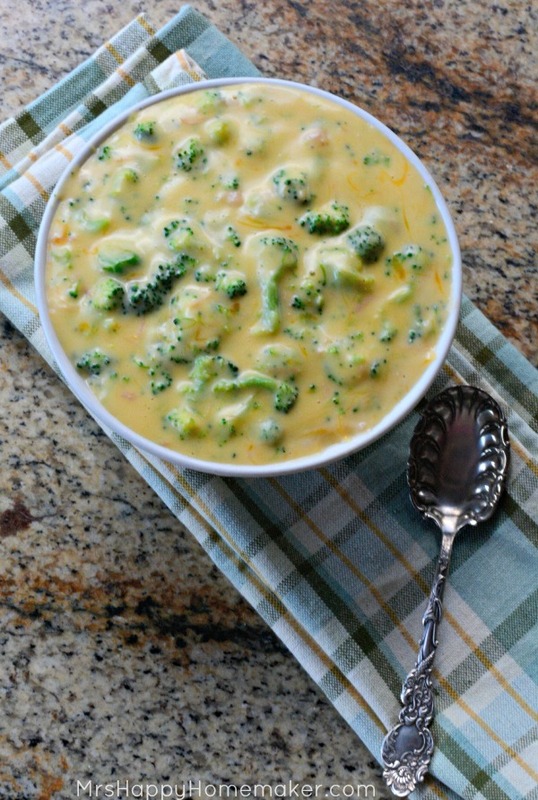 This recipe is designed to keep all of zombie adults out of the drive-thru because even if you’re dragging your feet with exhaustion, you can still easily pull this broccoli cheese soup off. I actually got the recipe for this soup from the cashier at HomeGoods – she wrote it on the back of my receipt for me, & I just had to try it. 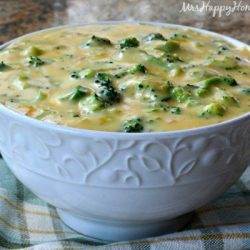 I’m not going to lie and tell you that it’s the best broccoli cheese soup ever, because it’s not (but I will be sharing that recipe soon!) – but it IS good! It’s perfect for those drag-your-zombie-feet nights! 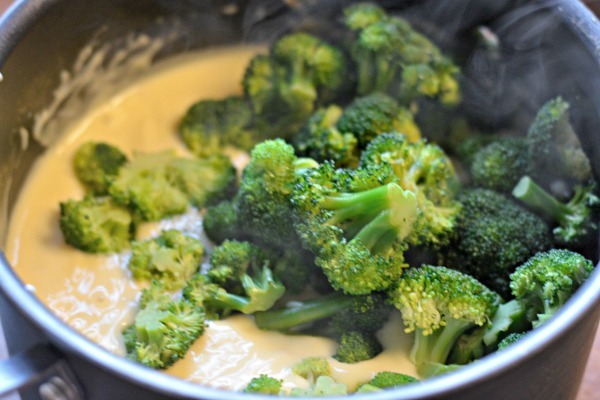 First thing is to cook your broccoli. I buy the 12oz packages of the fresh broccoli florets that steams in it’s own back in the microwave. I like a lot of broccoli in mine, but you can use less if you’d like. 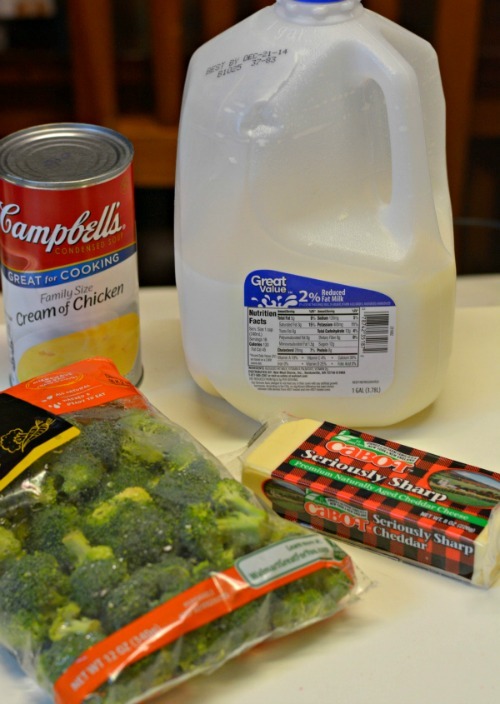 Mix together the family size can of cream of chicken soup with 1 cup of milk in a saucepan, & heat til hot. Add in the cooked broccoli. You can add a little more milk if you’d like a thinner consistency. Now, stir in 2 cups of cheddar cheese. Heat the mixture until hot, season with a little pepper if need be, & serve. 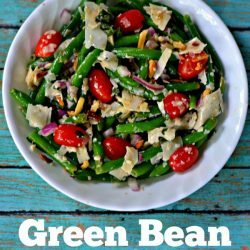 Combine first 3 ingredients in a pot. Heat until warm. 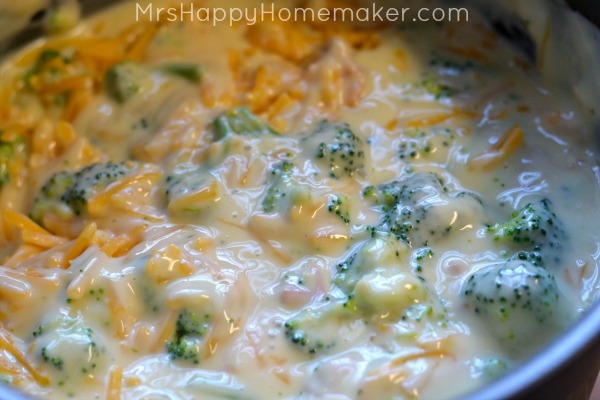 Add the cheese, stir – and cook until the cheese is melted & mixture is hot. Add extra milk if you want a thinner consistency. You saved lunch! My kids love broccoli soup, which I usually make (wince) from a packet. I discovered I was out of packets and needed a quick solution; this was it! They loved it, and I’ll never buy the packet again! 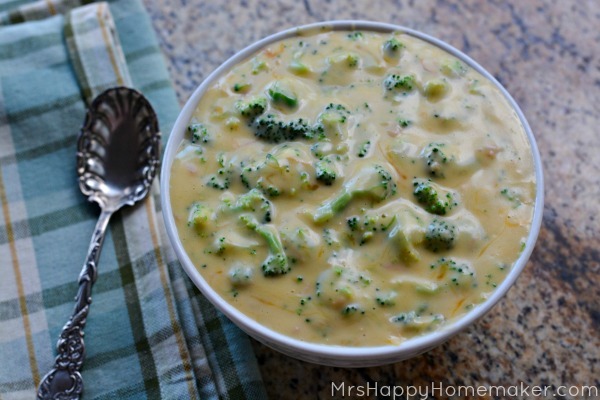 I’m pregnant and really craving some good broccoli and cheese soup, I love this because it’s so easy I’m going to try it tonight! made it-ate it! very good. Made it and it was yummy! If I use skim milk will it just not be as creamy? Can I use cream of mushroom or some other vegetable based soup? I’m really happy to have found this version! I’m also going to include this in my daughter’s 1st apartment cookbook! 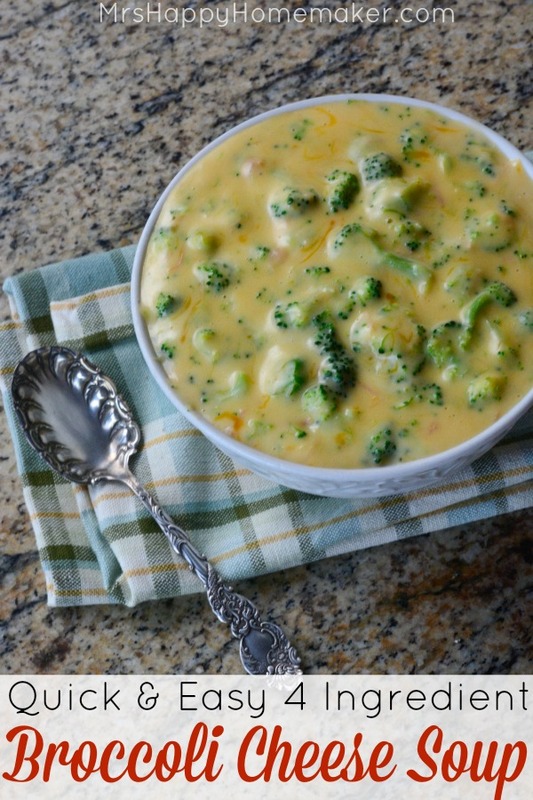 The broccoli cheese soup is such a quick fix for my afternoon hunger. 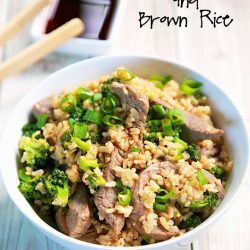 I tried making it at home following your recipe and it turned out to be really good. Thank you, Crystal!